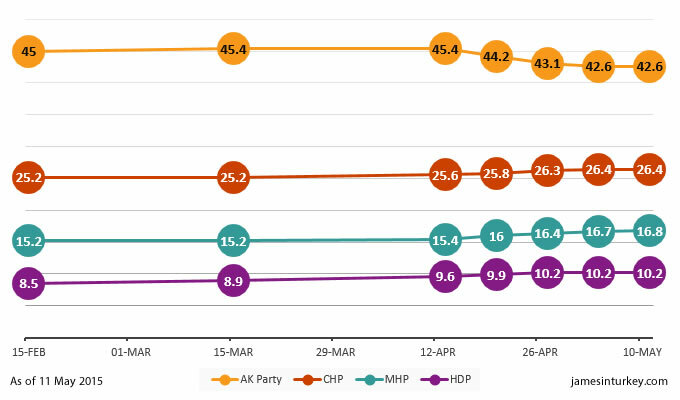 With four weeks until election day, Turkish opinion polls aren’t showing much movement. Maybe the campaign will change that. This website has been keeping a steady track of Turkish opinion published since the last general election in June 2011. Five weeks ago, we started producing a rolling average of the polls – an unscientific but constant measure of the opinion polling that is publicly available. But as this chart of our previous projections show, there’s achingly little movement in the polls. The numbers are fairly typical of ORC, whose polls always find a high share in AK Party support. But this is also the lowest vote share ORC has given AK and the highest it has given the CHP since October 2014. What’s more, the MHP hasn’t fared so well in an ORC survey since last September. ORC is a fairly prolific pollster, generating surveys at least once a month, so this might be a good opportunity to look at the change in its results for the four main parties to see whether there are any patterns to spot. Without over-reading a series of squiggly lines that have only shifted a couple of percentage points, there are three fairly clear trends we can look at. 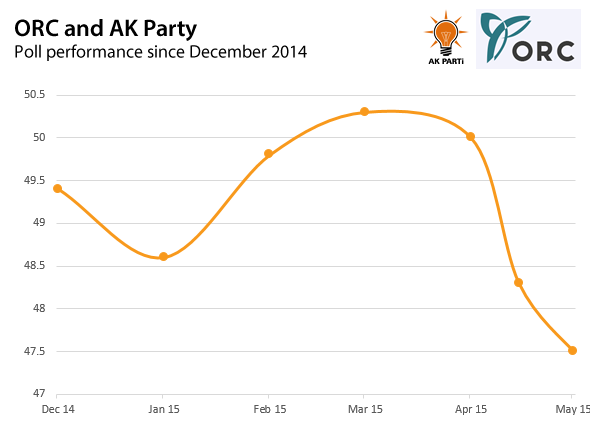 First, the AK Party vote is falling noticeably, but not critically. 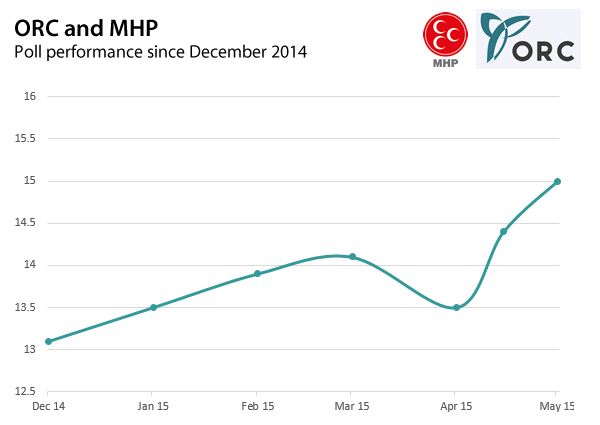 Second, there’s barely any movement in the CHP and MHP vote share. 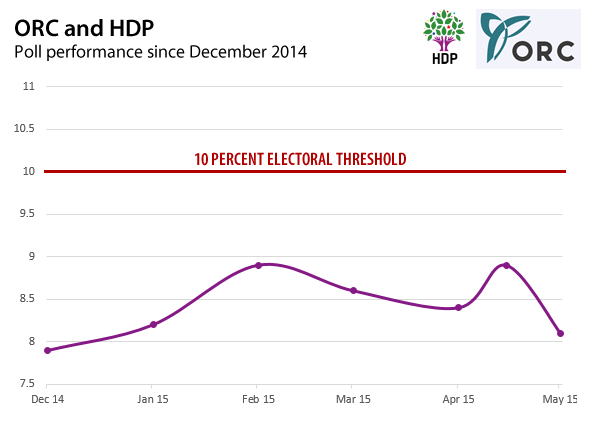 And third, it looks like the HDP’s battle with the electoral threshold is going to down to the wire. That is exactly what this website’s forecast has been for the last couple of months. We are now four weeks from election day and entering a campaign that will answer some important questions. Can the AK Party reverse its decline? 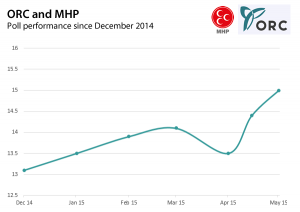 Will its disenchanted switch to the MHP or to the pious-nationalist Saadet/BBP alliance? 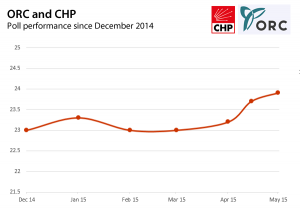 On the left, can the CHP reach anywhere near the 35% target its leader set for itself? 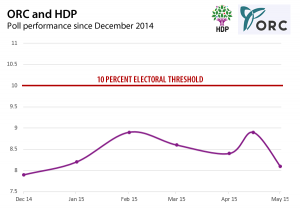 How many voters in Turkey’s largest cities – Istanbul, Ankara, Izmir – will it lose to the HDP? And talking of the plucky pro-Kurdish party, will it win the 4.5 million votes it needs to cross the 10% electoral threshold? Strap yourselves in. We’re in for a bumpy ride. JamesinTurkey.com provides analysis of Turkish political developments and coverage of elections in the country to English-speaking audiences interested in better understanding the country. The website is written and maintained by freelance journalist Michael Sercan Daventry.